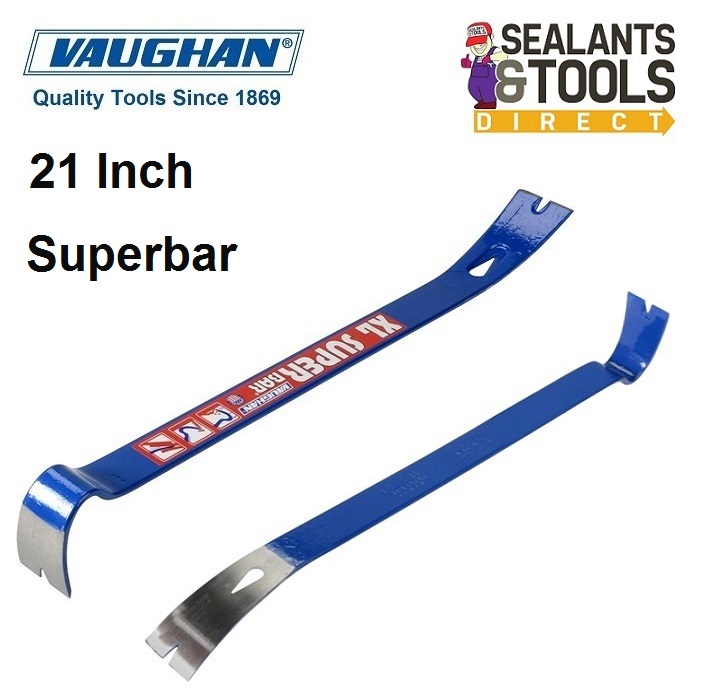 21in spring tempered steel utility bar. 3 polished and bevelled nail slots. Perfect for prying mouldings, scraping and pulling nails. Shepherd's Crook rocker head design for maximum prying power. Useful for prying molding, scraping and pulling nails. Forged, spring tempered steel for heavy duty use. polished, sharp blades for easy insertion.